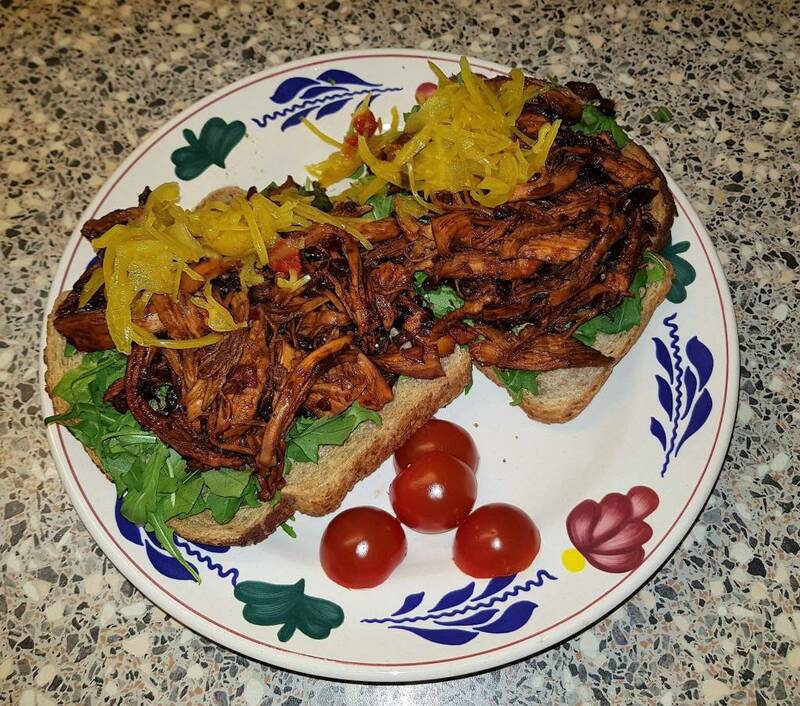 A delicious recipe for shredded chicken on toasted bread from Sandra Kemna, in which Greensweet Erythitrol is processed. Bring water to a boil and add the chicken breasts with some fresh black pepper. Cook the chicken breasts on a low heat (must continue cooking) and cover the lid for 10 minutes and drain the water. Allow to cool and fluff the chicken apart. Put the bowl in a pan or wok and fry the onion, red pepper and garlic. Add the sweet soy sauce, the soy sauce, the crumbled maggi cubes, the Greensweet erythritol sugar, the sambal and the mustard, stir fry and let it simmer for a few minutes. Add the plucked chicken and mix well. Let this simmer gently for a few minutes. Place the arugula on the bread slices and spread the spicy chicken over it. Add some atjar. Do you want the dish spicier, then add sambal, do not like spicy, halve the sambal and / or the mustard or leave the mustard completely away. Use a mild mustard instead of Dijon makes a difference.